Why would anyone want to opt for cloth diapers when we live in a day and age where we can just buy new diapers? Believe it or not there are quite a few reasons to choose cloth diapers! Some you have probably heard before, maybe some you have not, and perhaps there are a few that you’ve heard people give as a reason but have never heard the details behind it. This post is going to cover the top reasons why parents choose cloth diapers over disposables. This is usually one of the top reasons that parents choose to go with cloth diapers. They are ridiculously cheaper then disposable diapers. Most disposable diapers are around $.23 each. Now depending on how often you change diapers you might go through 6-10 in one day. If you are able to potty train your child at 2 years old (which many kids are not potty trained till later) you will have spent between $1,007 – $1679. This of course does not include the price of wipes; we are talking strictly diapers. Now cloth diapers cost more per diaper, usually averaging around the $17 mark. Generally it is recommended that you have 24 diapers when cloth diapering. If you spent an average of $17 per diaper and bought 24 diapers, you will have spent $408. Those 24 diapers will last you from newborn to potty trained toddler. Right there you can see that $408 is much cheaper then $1,007! Now the extra bonus with cloth diapers is that you can use them again with you next child making them even cheaper! If you don’t have another child, you can sell your cloth diapers and in this way you actually make back some of your money! Another way to think of it is this way: If you spend $408 on cloth diapers that same price would only get you 6-10 months of disposable diapers for just one baby. Now many people will still think that cloth diapers are not cheaper because you have to add the washing cost into it. You will obviously be doing more laundry if you cloth diaper so what about the deterent, water, and electricity costs? Well, I’m not going to do the math on that one. There are many sites that will show you the break down. However, most will say that washing diapers costs about $400 for 2.5-3 years. 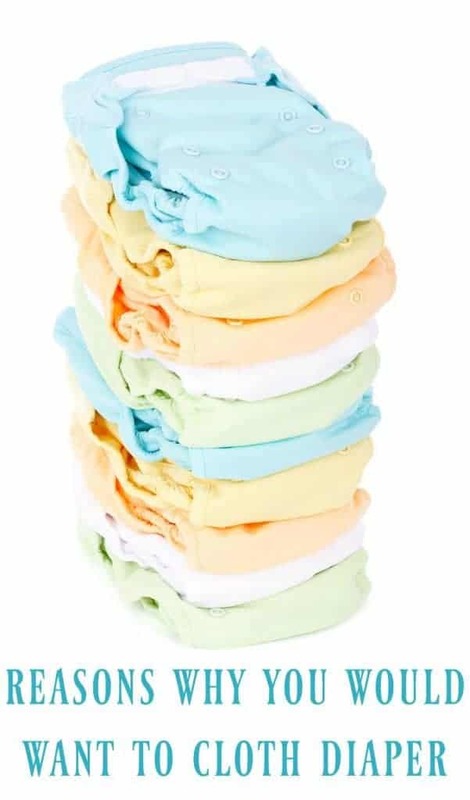 Even if you tack on the cost of washing diapers to the cost of cloth diapers (which would be around $800) you are still going to save money with cloth diapers even with just one child! There’s no getting around the fact that disposables sit in the landfill for hundreds of years. The diapers that you use on your baby today will still be sitting in the dump when you child is a great-grandparent and even after. One child will generate over 2 tons in diaper waste! That’s a lot of trash. Instead, you could use cloth diapers, which would be just a few pounds of biodegradable material. Disposable diapers are full of chemicals. They contain fragrance, dioxins, VOCs, and sodium polyacrylate all of which have been linked to issues such as asthma, impairments to nervous, immune, and reproductive systems, irritation, and cancer. Granted you do have to do laundry whereas you wouldn’t normally need to wash diapers with disposables. However, you will never run out of diapers. If all the stores were closed on a holiday, you would still have diapers. No more late night runs to get more diapers. Ok so it’s not an important reason, but let’s face it cloth diapers can be pretty cute. They come in hundreds of colors and patterns. In case, you haven’t noticed even disposable diaper companies are getting the hint that cloth is much cuter. Disposables diaper companies are now trying to compete by selling patterned diapers. They can try all they want but they can’t come anywhere near the style of cloth diapers. Believe it or not, cloth diapers tend to leak less. This of course, is as long as you’ve got the right fit and absorbency for your baby but in general cloth leaks less then disposable. In addition to that, you will never have a blow out with cloth diapers. In case you are not a parent yet or have never dealt with diapers, a blow out refers to when your baby’s poop goes not only in the diaper but decides to come out the back of the diaper and all the way onto baby’s back. Yeah, not fun. Now you have to wash not only the clothes (have fun getting them off without getting poo all over your baby) but you also have to wash your baby. It is a total pain and one that I’ve dealt with my first two children. However, with cloth you will not experience a blow out. So much annoyance, time, and clothing saved! 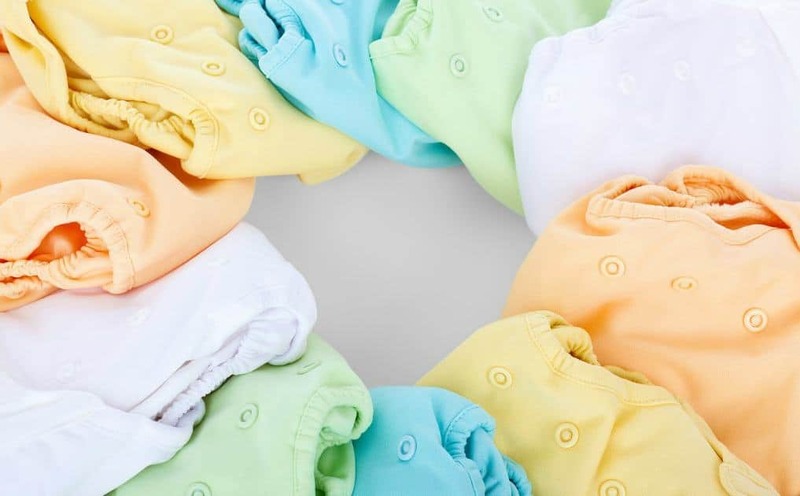 These are just some of the reasons why parents choose to cloth diaper. There are probably other reasons and not every family cloth diapers for the same reasons. However, it is easy to see that cloth diapers have a lot going for them. WOULD. NEVER. GO. BACK. PERIOD. I know the main reason why I switched to cloth was because of the chemicals. It had become very difficult to continue to use disposibles when I knew what I did about the toxins being used in the manufacuring of paper diapers. I'm excited to read more!! I switched about 7 months ago and would never go back. I just wanted to add to your great post that cloth diapers are NOT THAT MUCH WORK. I didn't switch earlier because I thought I would't be able to handle it as a new mom. To be honest, I'm glad I had disposables when my son was brand new, but I should have made the switch earlier. They are easy! I do have to disagree about the "no blow-out" part; I cloth diapered all three of mine and my son had the innate ability to soil himself and the surrounding 3 blocks in a matter of seconds. Never had a problem with the girls tho. I wouldn't change a thing – it was a great choice, with all three fully on toilets by 2. Great post!! A lot of people told me I would not succeed with cloth diapers because I work outside the home, but it just was not that difficult. Here is our cloth diapering story.